Jeff Bass plays “Lose Yourself” in court. Music producer Jeff Bass showed up as a witness in a hearing of the Eminem vs National party of New Zealand case and played the cords of “Lose Yourself” on a guitar. This is what journalist Katie Bradford said: “Jeff Bass says the owners of “Lose Yourself” – himself, Eminem, Luis Resto & Joel Martin, would never have given National permission to use it. “Lose Yourself” composer Jeff Bass strums part of the song in court. Then slams Eminem-Esque as being unoriginal & a blatant ripoff. 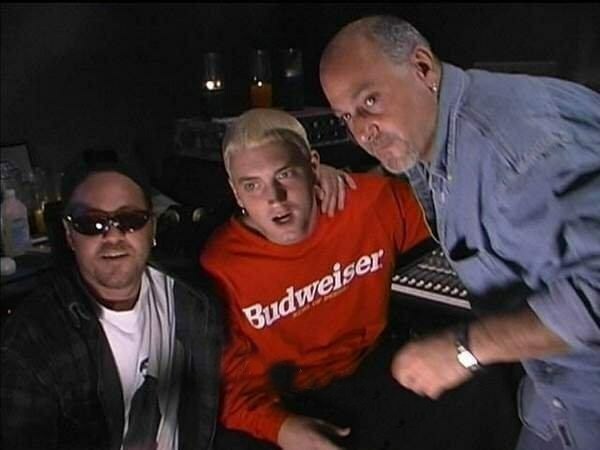 I also asked Jeff Bass (he discovered Marshall Mathers) if Eminem even knows about the trial. He says he doesn’t know if he knows”.